I’d like to start this post by saying thank you to all the men and women who have died in their service to the country–for your courage and sacrifice, I am forever grateful! Chauncey and I just got back from a trip with his office to Pigeon Forge/Gatlinburg, Tennessee. He works for VetData (seriously awesome place to work! ), and I’ll talk more about the trip on this week’s H54F. 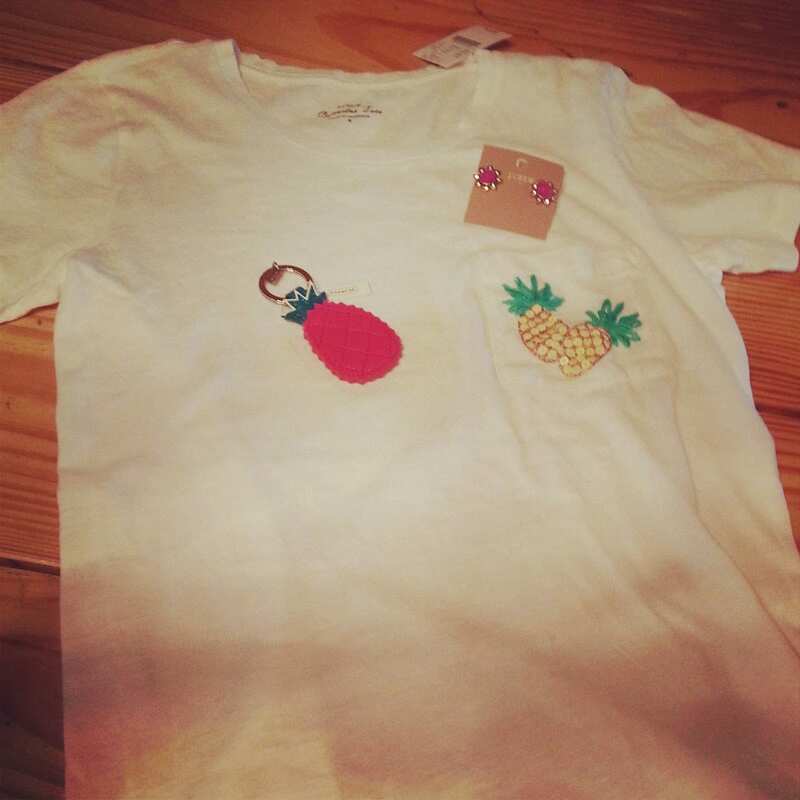 If you follow me on Instagram @brightonabudget, then you know I did some outlet shopping while I was in Tennessee. Confession time: what I posted was Round 1. We did Round 2 later that evening but I didn’t have a chance to post pictures of my haul. Here’s a look at the spoils of Round 1. 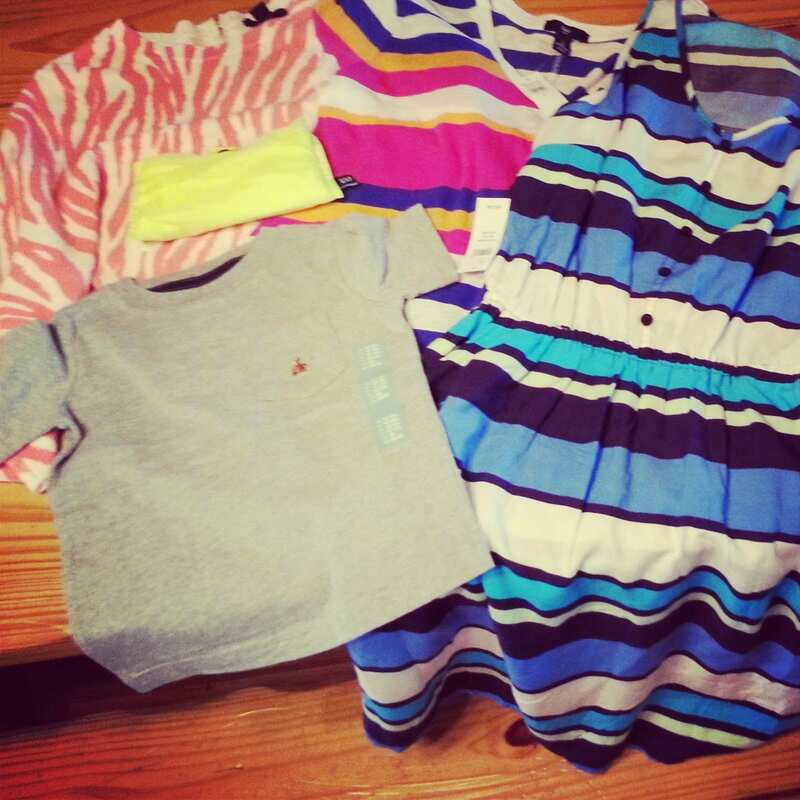 Part 2 of this post will be coming to you tomorrow, and features some guy and baby clothes (and maybe shoes). Part 2 will also give some of my general tricks and tips for outlet shopping, to help you make sure you’re getting the best deals! *J. Crew Factory had everything 50% off, plus an extra 15% off with student ID. *Fossil Outlet has everything BOGO 50% off, including clearance! *Yellow reusable tote, $3.50. Buy reusable tote and save 10% all year, each time you bring the tote shopping at Gap Outlet! Great to carry wet/sandy towels, swimwear, and flip flops this summer! 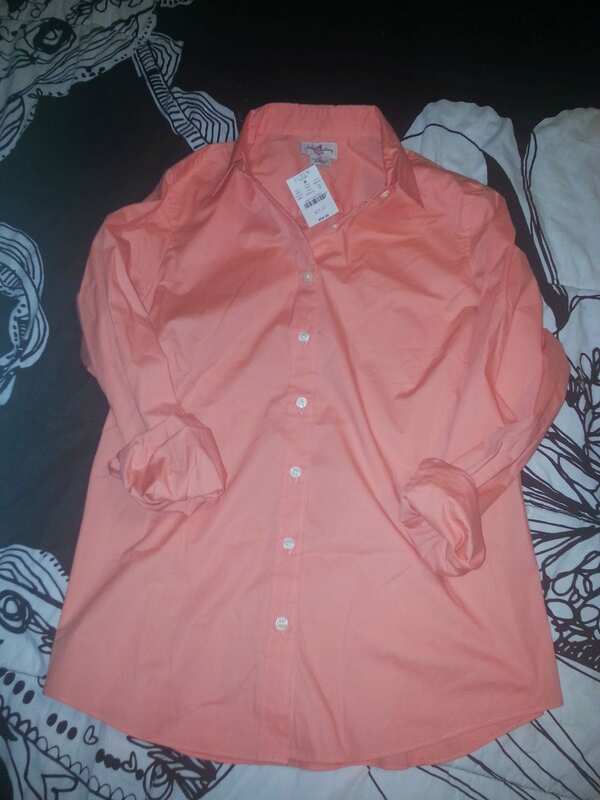 I had to buy the orange button-up because my undergrad’s school colors are orange and black. I love pineapples. They’re a sign of welcome and I’m glad to see them everywhere this year! The $13 Fossil bag was the best deal (shout to Sheila for clueing us in! 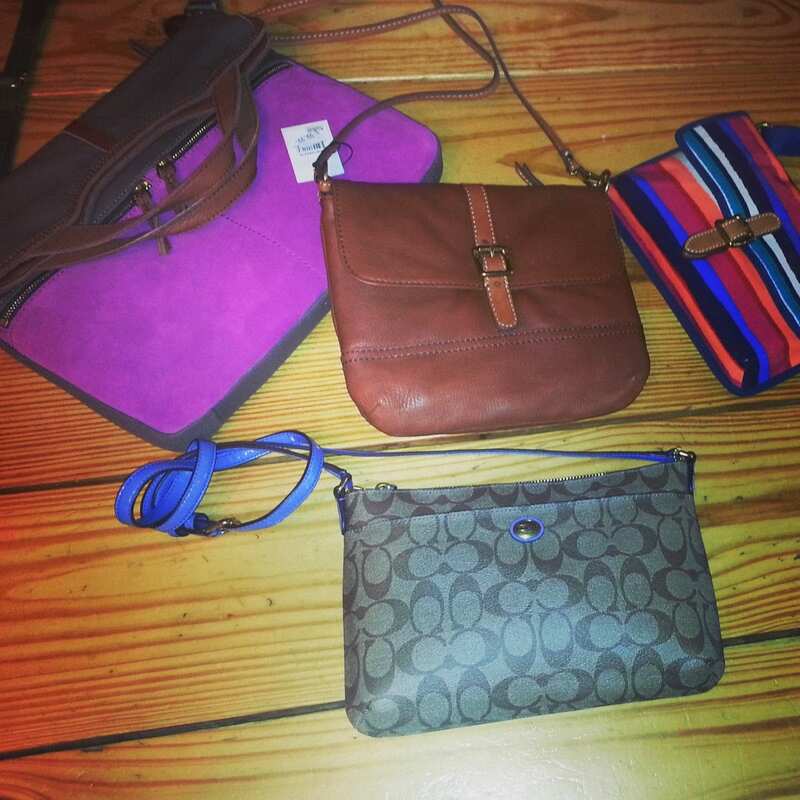 )–you could actually get 2 of those bags for $20 using the BOGO 50% deal!!! Finally, I cannot wait to wear the dress from Gap Outlet–probably on our beach trip later this summer!